Dirt Connections can help you successfully complete residential or commercial construction projects by conducting an Alexandria, VA fill dirt delivery to your job site. Regardless of the scope of your plans, Dirt Connections is able to provide you with easy access to the free fill dirt you require in order to get your residential or commercial project done right the first time in a timely and cost-effective manner. By depending on Dirt Connections, you won’t have to worry about your project falling behind schedule or going over budget. 7 Schedule a Free Dirt Delivery in Alexandria, VA! The primary use of fill dirt is to fill in holes and build basic foundations. Many times, fill dirt acts as the basic foundation for construction, remodeling, and development projects. Any commercial or residential construction or remodeling project that requires extensive development usually requires a certain amount of fill dirt. 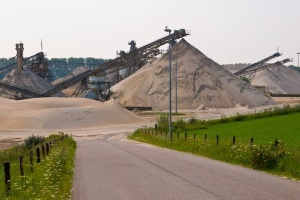 The amount of fill dirt needed is specific to the nature of the project and Dirt Connections is able to deliver enough fill dirt required for any size project, including large projects that require multiple truckloads of dirt. Alexandria, VA is a bustling center of development in Northern Virginia. We have a long history of providing outstanding service on all types of projects in Alexandria VA, and the Northern Virginia area. We work with the numerous private and public sector organizations that are headquartered in Alexandria, as well as individuals who are embarking on a DIY project. Any of their projects that requires a large amount of site-work and earth moving, usually requires a certain amount of fill dirt. Some of our typical clients are property owners, landscapers, developers, contractors, and other individuals. Our company has the expertise you need on your next project. Don’t feel overwhelmed by the prospect of beginning a new project or renovation. We will guide you through the every step of the process and make your earth moving experience as efficient as possible. A delivery fee may apply based on some factors such as job site location and customer requirements. We offer free delivery for any orders of ten loads or more. It doesn’t matter how much you need – we’re here to help your project in all of the ways we are able to. In order to make sure that there is safe access, we will perform a free site inspection. An owner and/or agent must grant authorization to enter the property. We require this site visit before the order is finalized. After the excavating any below-grade components of your project (basement, foundation, pool etc.) you may be left with excess dirt. If that’s the case, give us a call. We have our staff and equipment ready to quickly remove dirt from your site. To us, there’s no such thing as too much dirt. When it comes to dirt, we can handle anything. Dirt Connection’s Alexandria, VA fill dirt delivery service has many benefits. Our familiar relationship with the Alexandria, VA area allows us to provide timely dirt deliveries – leaving you with less to worry about and manage. Dirt Connections simplifies your project’s logistics and works by directly delivering all the fill dirt needed for development, remodeling, landscaping, and construction. The free site inspection previously mentioned will make sure you can have safe and easy access to large quantities of dirt. When your project is nearing completion and you need to get rid of the dirt – we can come pick up the excess dirt and get it out of your way. Our clients feel confident knowing that we always get the job done right at an affordable rate. Nothing is more frustrating than discovering midway through a project that you do not have the right amount of material. Calculating how much fill dirt you need before you begin, can help save you a lot of time and money. Determining how much fill dirt to acquire depends on the geometry of the project in question. For a rectangular project, find its three dimensions; length, width and height. Then convert the result into cubic inches. This is done by first multiplying the length by the width. Then take the result and multiply it by the height. This final number is how many cubic inches of fill dirt you need to buy. This is the best unit of measurement for this purpose. It can easily be converted into cubic yards, which is how fill dirt is normally priced. The calculation for determining the volume of a circular project is a little more difficult. First, find the diameter of the area and then its depth. Record both numbers in inches. Next multiply one half of the diameter by pi (3.142). Take this value and multiply it by the depth. This is the amount of cubic inches you will need. Schedule a Free Dirt Delivery in Alexandria, VA! 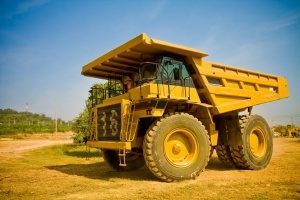 Our reliable Alexandria, VA fill dirt delivery service can provide you with competitively priced fill dirt for any size project, or even free dirt delivery if your project requires ten truckloads or more. 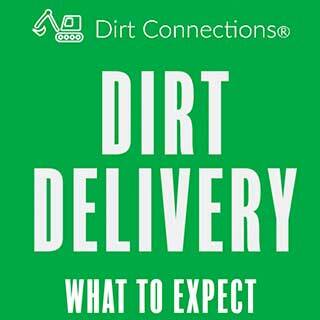 Contact us to schedule your convenient free dirt delivery by calling or by sending us a message online today.